Florida-based alternative rock band Anberlin is back with yet another new release, “Dark is the Way: Light is a Place,” less than two years after their last studio album. Complaints about Anberlin dramatically changing their sound won’t be heard. 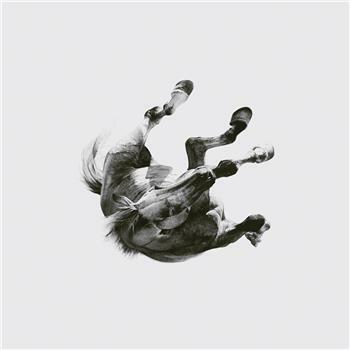 In what is a follow-up to a somewhat disappointing effort in “New Surrender,” Anberlin gets back to their old ebb and flow in their fifth studio release. The opening track, “We Owe This to Ourselves,” throws us into the thick of what Anberlin is all about. Lively music and catchy choruses lead the way for the rest of a solid effort. “Ourselves” transitions seamlessly into the second track, “Impossible,” as if they are one. The liveliness carries on into more uplifting tunes even if the subject matter is about love and loss. After a promising opening, the album takes a turn for the forgettable. Most of the middle tracks seem to blend into one another almost acting as filler until the eighth track. “To the Wolves” is where loyal Anberlin fans will be delightfully surprised. The fast-paced, guitar-heavy tune is one of the few glimpses from “Dark is the Way: Light is a Place” of how Anberlin is capable of rocking out. The rest of the album falls back into the lumbering ballads that are most of the album. While not entirely bad in terms of quality of music, the album as a whole will leave listeners slightly dissatisfied. Anberlin’s fifth studio release in less than eight years is nice for eager fans awaiting new music, but quantity over quality is rarely a good thing. Despite a few sure-to-be hits, Anberlin’s latest effort falls short of past successes.